You will be required to undertake two interviews during the selection process for becoming a magistrate. Whilst both interviews have some similarities, they differ in terms of how you need to perform on the day. During the first interview you will be asked a number of standard questions by the panel who are more commonly known as the Local Advisory Committee. Being invited to the first interview will usually happen as a matter of course, providing that is, you meet the minimum eligibility requirements for the role. It is important that you ensure you meet the minimum requirements by reading the guidance notes that accompany the application pack for becoming a magistrate. The last thing you want to do is turn up to the first interview only to find that you are not eligible for some reason or another. During the first interview you will be asked questions around your ability to commit to the role and also whether your character is suitable for the position you have applied for. Being a magistrate is a highly responsible role and the Local Advisory Committee will want to see that you are fit to serve. Again, make sure you read the guidance notes that come with the magistrate application form. When preparing for the magistrate first interview you should start off by reading and absorbing the six key qualities for the role. Be able to communicate effectively with a manner of different people. As is an understanding of your local community. 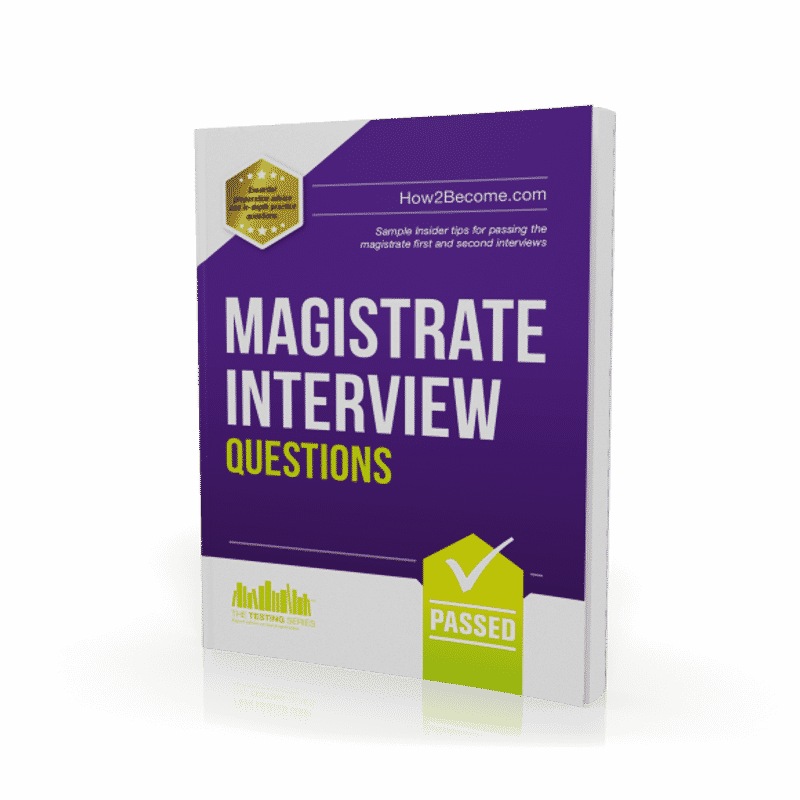 Once you have learnt the magistrate key qualities you will then be able to prepare for the interview questions. Here are a number of questions that we recommend you prepare for: Q. Why do you want to become a magistrate? Q. There are plenty of other volunteer roles in society, why choose the role of a magistrate over the others? Q. Are you able to commit to the required number of sittings as a magistrate and also the initial training? Q. Tell us about your character? Is it suitable for becoming a magistrate? Q. What does your family and employer think about you wanting to become a magistrate? Q. What do you understand about the role of a magistrate? This workbook will provide you with a host of further sample interview questions with tips and advice on how to answer them. The first exercise which forms part of the magistrate second interview will give you approximately ten scenarios. It will be your task to rank them in order of severity. There are no right or wrong answers to these; however, it is important that you are able to explain why you have chosen the order of priority and also be able to listen to suggestions for ranking them in perhaps an alternative order. Remember, as a magistrate you will be required to listen to, and work with, other people including magistrates whom perhaps have more experience than you. You will be asked to explain what you took into account in each scenario and why you ranked them in the way you did. You may be asked to comment on an opposing view of the ranking order. You need to show that you are prepared to listen to, and consider fairly, any contrary views the panel may put to you (do not feel devalued or overly defensive in your ranking as they may be taking a contrary view solely for the sake of the exercise). You will need to reflect that there may be legal or guideline aggravating or mitigating factors. 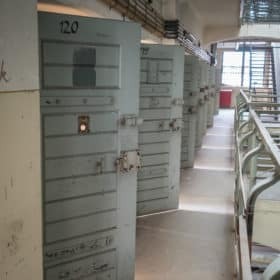 You will learn more about these once you become a magistrate and begin to read the sentencing guidelines. 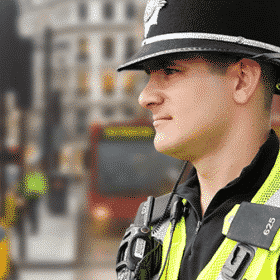 You should specifically consider the harm done or likely to be done by an offence and the level of the offender’s culpability. 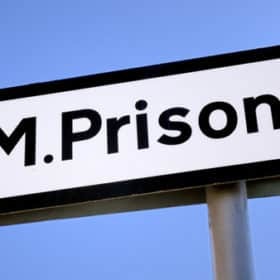 Imprisonment (aka ‘custody’) (which can be suspended if appropriate). How you deal with the overall decision-making process. What issues you identify as relevant. What you might be trying to achieve in sentencing. 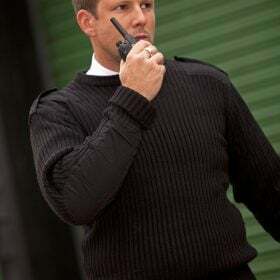 Essential tips and advice on how to pass both sets of magistrate interviews. How to successfully prepare for the first magistrate interview. Sample interview questions including case study and ranking exercises. Important facts to consider when preparing for the interviews. What you need to know before you apply to become a magistrate. Matching the six key qualities at the first and second interviews. The essential qualities and attributes that are required to perform the role competently. 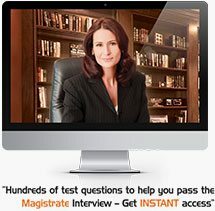 Sample magistrate first interview questions with tips on how to respond. Detailed information and advice about the second magistrate interview. The top tips and advice brought to you from serving magistrates. How to approach the case studies that form part of the magistrate second interview. What the Local Advisory Committee are looking for and how to respond. Plus 30-days FREE ACCESS to our online magistrate interview video training suite. This will teach you how to pass the first magistrate interview! After the 30-day free trial is over the service is automatically charged at just £5.95 plus vat per month with no minimum term. Plus 30-days FREE ACCESS to the magistrate online testing suite. Thereafter, just £5.95 per month. No minimum term. You may cancel anytime. Cancel before the 30-days are up and you will not be charged. Instant Access to our Online Magistrate Training Suite!